One time Luke and I were brainstorming for articles I could write and he mentioned ‘how students discover wine in university.’ As I am currently completing my final year at UBC, I suppose I have an inside scoop. In all reality, university students bring a bottle of Yellow Tail to a party and think they’re the epitome of class. They proceed to drink that entire bottle, and come morning experience one of the worst hangovers they will ever have. They then swear off all wine for the foreseeable future. Really, students only learn that too much of a good thing (that is a subjective term in this case) might not be the best thing. Unfortunately, my own university experience has been drastically different. I say unfortunate because being able to enjoy an $8 red is a lot kinder to the bank account than having a palate that demands wines of a higher calibre which usually come with a higher price tag. I have been involved in BC’s wine industry since I was 19 and skipped the quintessential cheap wine enjoyment period. While students may not appreciate wines, there are many opportunities to learn about them. UBC has an Introduction to Wine Science class (FNH 330) that is taught by Dr. David McArthur, who also trains the VQA panel. I have taken his class and it is a fair representation of how wine is made, how to taste wine, and how to interpret labels (even those confusing German ones). 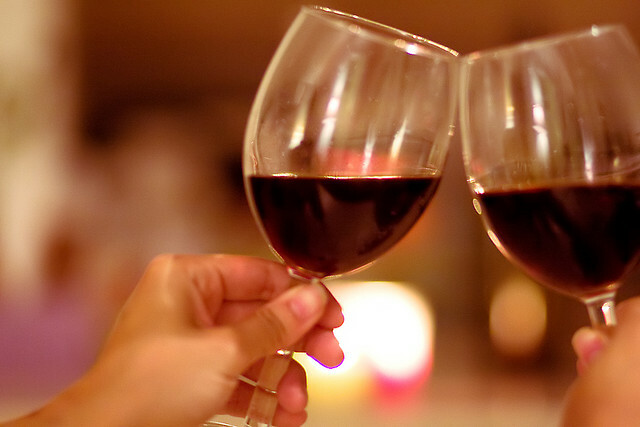 UBC also offers Continuing Studies on understanding wine for adult learners. Not at UBC? No problem. The Wine and Spirit Education Trust (WSET) courses offer several levels of wine education (Foundation, Intermediate, & Advanced) all the way up to a diploma. WSET’s lower courses are perfect for beginners and progress into detailed courses aimed at aspiring wine industry professionals. WSET courses can also be taken in most of Canada’s major cities. These courses are all very helpful, but this is an article about university students. We’re broke and likely don’t want to take a $500 wine course. So what are some inexpensive (or free!) ways to educate yourself on wine? 1. Learn how to say it properly. I cannot count the many times I’ve heard Meritage pronounced incorrectly. Meritage is supposed to rhyme with heritage, as it is an amalgamation of the words ‘merit’ and ‘heritage’. If you are unsure or apprehensive (Gewürztraminer anyone?) about how to pronounce a wine, look it up. There is this wonderful blog that acts as a pronunciation guide. These tools are at your disposal and can be the difference between impressing your date and saying the “Gewerssomething” for the rest of your life. 2. Learn how to taste. You don’t have to immediately pick up the notes of cassis and graphite, but try to muster more than an “it tastes like wine”. Learn the five S’s (See, Swirl, Smell, Sip, & Savour). You will be amazed at the difference just taking the time to properly taste wine will make. 3. Have fun with it. Start trying to pair your wine with different foods. You will soon learn what goes well together and what combinations to avoid. Wine doesn’t have to be serious, and I don’t think it should be. Organize a wine night with a bunch of friends where each person brings a bottle or a food dish. It can be a learning experience and a good time. 4. If it’s cheap and you love it, who cares? If you truly love $8 shiraz and do not taste any discernible difference between it and a $50 bottle, then by all means keep saving money and buy your favourite inexpensive wine. Over time your palate may change and your purchasing habits with it, but if you can get away with enjoying the less expensive wine right now, go for it!